(Natural News) Most people know myrrh as an aromatic, but not so much as a natural medicinal treatment. A study in the Ethiopian Pharmaceutical Journal, however, has proven that it does have remarkable medicinal benefits, among which are faster healing from wounds and protection from bacterial infections. 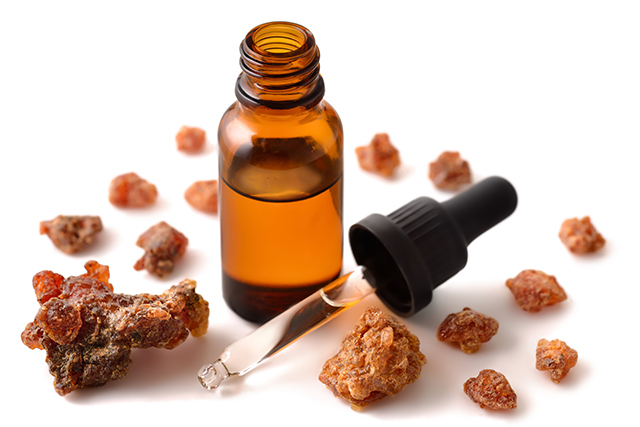 What most people recognize as myrrh is actually the hardened resin of the myrrh plant (Commiphora myrrha), which is used as a perfume and incense. It has been used since ancient times – in fact, it is said to be one one of the gifts given to Jesus by the three wise men from the East. Myrrh is also used as medicine in various cultures. In traditional Ethiopian medicine, for instance, it is used to treat wounds. A study looked into the merits of this application, focusing not just on the resin, but also on myrrh essential oil. The researchers compared ointments made with four percent essential oil and five percent resin. The ointments were applied to wounds and their toxicity was examined. They then tested the ointments for antimicrobial activity in bacterial cultures. According to the authors, the ointments hastened wound healing and were non-irritant at the concentrations used in their study. Both the essential oil and resin showed remarkable antibacterial effects – their effects were actually comparable to those of antibiotics commonly used against Gram-negative bacteria – although they did not have much impact against fungal pathogens. The authors concluded that both myrrh essential oil and resin are effective for enhancing wound healing, in part and in full, because of their potent antibacterial effects. What are myrrh’s other health benefits? It has powerful antioxidants – Antioxidants are chemicals that help prevent oxidative damage to the cells. A study found that myrrh can protect the liver from damage induced by lead toxicity while enhancing the body’s natural antioxidant and immune defense mechanisms. It may protect against cancer – One study conducted by researchers from China found that the extracts and compounds derived from myrrh resin may prove effective against cancer cells in human reproductive organs. It may relieve neuropathic pain – Neuropathy is characterized by painful sensations in different parts of the body even without any external stimulus. It is caused by damage to the nerves. A study published in 2017 suggested that aqueous extracts of both myrrh and frankincense may be used to treat neuropathic pain. Turmeric – The curcumin in this spice stops bleeding and modulates collagen, the main structural protein in the skin. It also has natural antibiotic effects that help prevent infection. Garlic – The natural antimicrobial properties of garlic reduce the risk of infections. It also contains compounds that help stop bleeding, speed up healing, and reduce pain from the wound. Honey – This sweet fluid is a potent antibacterial and antifungal agent. Honey may be applied regularly before the wound is washed. Aloe vera – The analgesic and anti-inflammatory effects of aloe vera reduce inflammation and pain. Simply cut open an aloe vera leaf and apply the gel on the wound. Once the gel has dried, it may be washed off with warm and clean water. Coconut oil – The anti-inflammatory and antibacterial effects of coconut oil reduce swelling, pain, and the risk of infections. It also nourishes the surrounding skin, helping prevent the formation of scars. Discover different natural ways to treat wounds at Remedies.news.